The first day at a new job is always nerve-wracking, even more when you’re the only girl, but I never felt out of place at ACT360 – from the very first day, they took me under their wings and made me feel like one of the team. Including today I’ve been here for more than 2 months and have learned a lot during this time. Will I Get Rejected Again? For someone just out of +2, I had accepted that I would not be landing any serious jobs. I still applied to a few places but they were not keen to hire and train an inexperienced girl like me. All I was great at was written and spoken English, and that was not deemed a useful skill at these companies. One day a friend told me about a vacancy at a digital marketing company called ACT360. I thought to myself, “Why not? What’s the worst that could happen?” and applied while hoping for the best. After a few writing tests, and a round of trials, one late morning I got a call asking me to come for an interview the next day! Dun Dun Dun… The Interview! When tomorrow finally came I set on my way to the ACT360 office in Hattisar, nervous about what they would ask me in the interview, and if I would be able to answer them or not. To make matters worse, I got stuck in a traffic jam, and when I finally got to Hattisar I even got lost! I had to call Cheteze dai to ask for directions and by the time I made it to the office I was already 35 mins late. Thank god the interviewer, who was Tenzing dai, was very understanding! Since I had no working experience he proposed I do an internship first and I agreed. This was Thursday and I would start on Sunday. He told me we have a weekly meeting on Sundays and I better not be late. My first work day started with a weekly meeting (we call it a Weekly Action Review, or WAR) followed by introductions by the team and a company orientation session for me. During the course of my internship I have come to learn that these values are not just there for the sake of being there – we are constantly reminded about them and they are ingrained in our company culture. In a nutshell, they are our core values that we believe in, and aim to live by. What Is It Like Working At ACT360? When I arrived for my first day at ACT360 I was expecting to see suits and hearing, “Sir” and, “Madam” but the office environment was not what I expected. For one thing, the office environment was very informal and everyone was friendly and joking with each other. As the day progressed I also noticed that everyone was serious and professional when it came to working. I also liked that ACT360 follows the same culture as Google which is based around having an open environment, sharing of ideas and opinions, and most importantly learning-focused. During these past few months I’ve learned a lot of things, like how to play videogames and how to cut paper in a straight line (just kidding). 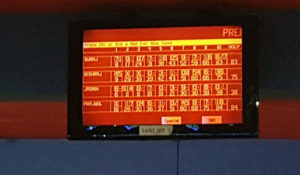 I also went bowling for the first time during our First Year Celebration. On a serious note, I did learn quite a lot from ACT360. Not only did I hone my professional skills, but I feel that I have developed on a personal level as well. I like to think that I am learning new things each day and I have become better than what I was yesterday.